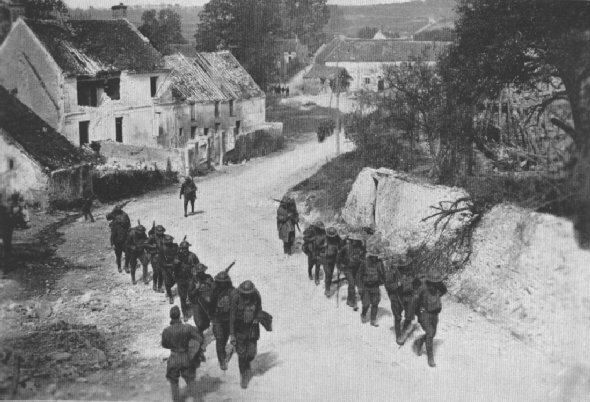 COMING OUTThe 26th Infantry, 1st Division, coming out of the lines near Fresnes, July 31, 1918, pass through the shell swept streets. They are spaced so that one shrapnel burst can not include more than one group. 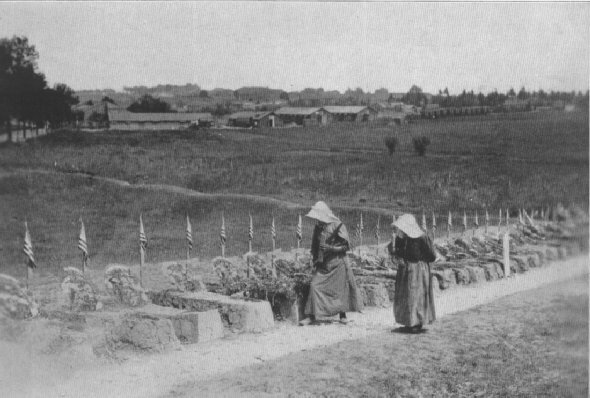 THESE DID NOT COME OUTFrench mothers pay their respects to the sons of American mothers.